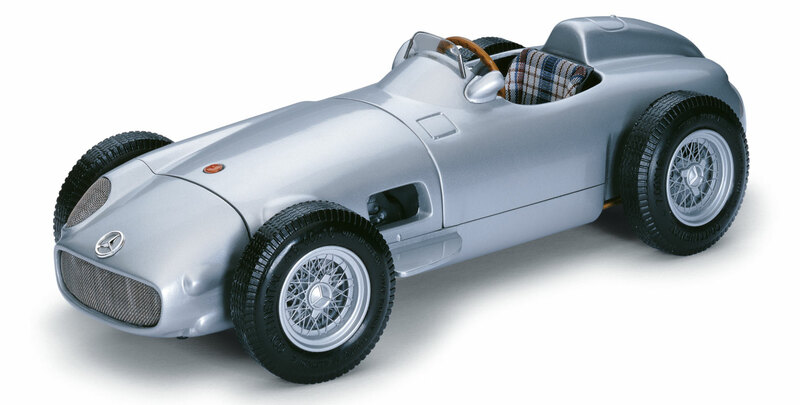 The Silver Arrow is one of the most famous racing cars from Mercedes-Benz. Even today, motor sport fans are inspired by the Silver Arrow of the fifties. This racing car earned its fame with numerous first and second place finishes in 1954 and 1955. During those two years, Fangio drove this car to become the world champion. Race drivers, such as Kling, Hermann, and Moss also raced the Silver Arrow to finish second and third in several races.